Is HG50 a good replacement for old HG40? Yes this will be suitable as a replacement. Providing you're using an 8spd chain and a long cage derailleur then this will be fine for use with a triple front chainset. If you're planning on using the same chain then you may need to add some more links to it to cope with the larger cassette. Final question on this. Could I get away with the SS cage version of the Claris with a Double 33/46 chainring and a CS-HG50 8 Speed Cassette - 11-32? Unfortunately not, you would need the GS version to cope with the amount of chain growth. Hi again. Thanks for the info. Following on from last question. Which medium-cage derailleur would be compatible with this HG cassette? I have Shimano SiS 8-speed STI levers. The best option that we have that would be compatible is the Shimano Claris rear derailleur, the GS option is the medium cage and they are SJSC part number 32416. Building up a 8-speed fast tourer from an old Raleigh frame. With a 33/46 chainset. 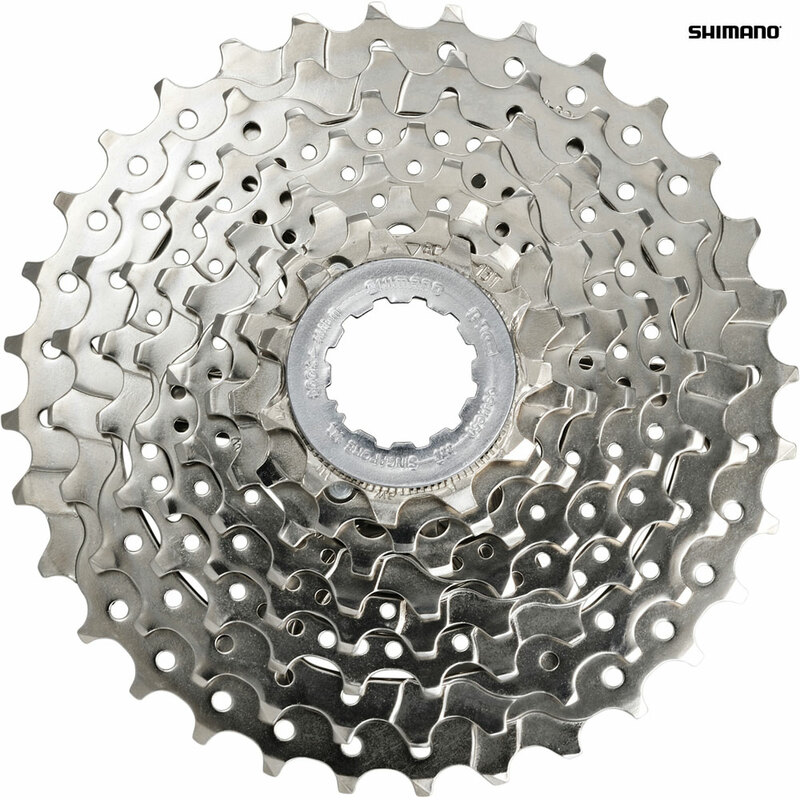 Will this cassette work with a recently purchased Shimano 105 5800 Medium cage deralleur? 11-32, 33/46 gives a 34 tooth capacity - will this be enough? Although the medium cage 105 5800 derailleur has a capacity of 37T it is designed for 11spd drive trains and is not compatible with 8spd shifters. It is not directly compatible with this 8spd cassette but it can be with the use of a Jtek Shiftmate 5. Compatible With Shimano Deore Lx Fh-T670 Rear Hub? I'm trying to replace a screw-on shimano rear cluster on a handbuilt touring bike with an OLN width of 126Mm with this hub and cassette combination, not sure it will fit? This cassette will fit that hub fine, but that hub has an OLN measurement of 135mm so will unfortunately not fit within your frame.